By a show of hands ladies how many of you are addicted to Hair? That’s what I thought! To get to this amazing shop click the link HERE. Check in with the new hairs by visiting there Flickr. Check out all the Lucky Chairs full of hair!! 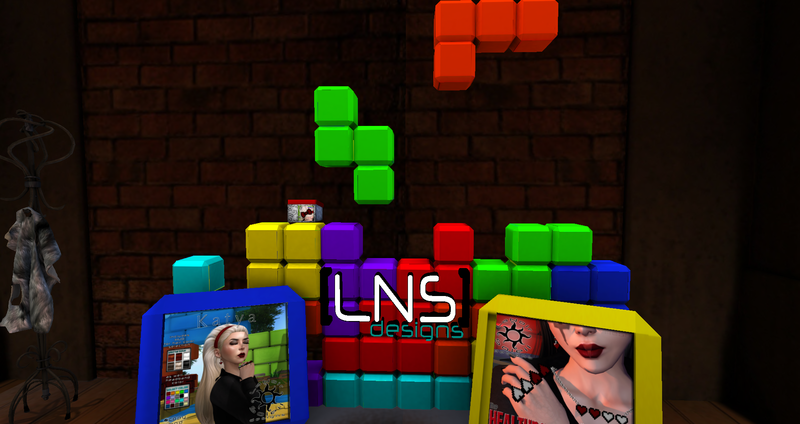 Here are the Group Gifts around the store: The small box by the Tetris wall is of an 8-Bit Hair Bow with a HUD, the Male & Female Gifts are Pose HUDS. 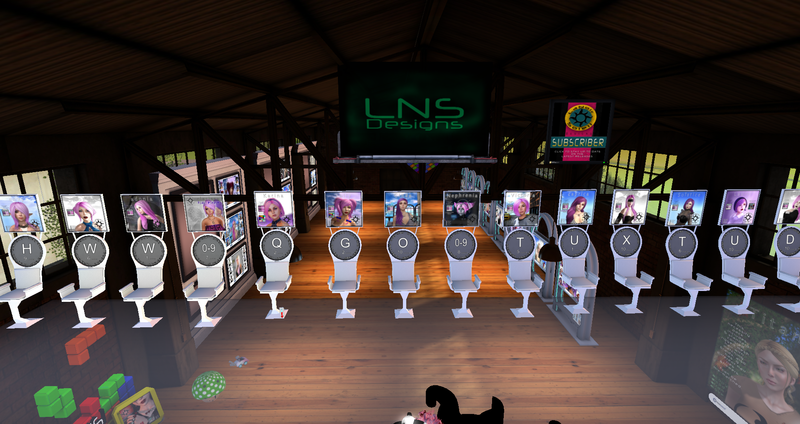 So hurry on over to LNS and scoop up some amazing mesh hair today! Halloween is almost here, if you are still struggling to find that perfect costume check out my other blog at RW BLOGS. I found this shop through FabFree but I just had to blog about all the Group Gifts available. See below the Group Gifts. I fell in love with that Side Braid ❤ I can not wait to try it on! Enjoy this store and the more to come.